Websites have always been considered a vital component of any online marketing plan in the tourism industry. However, while the traditional Web may still be necessary to convert leads and facilitate bookings with tour operators, guest houses and hotels, etc, a number of other online and digital platforms are making a big impact. In particular, the use of social media in tourism continues to rise and it has many benefits over traditional online channels. Most notably, these include its cost-effectiveness and attraction for all groupings and demographics - niche and mass markets, business and leisure travel, men and women and all age groups. In short, social media sites (and other non-Website channels) offer enormous value while levelling the playing field for establishments and operators of all sizes and budgets. A wide range of social channels is available to travel and tourism companies, many of which can be leveraged without the help of a social media developer. However, with the aid of a specialist, one's opportunities are much wider. Applications and pages that have enjoyed mainstream success range from bookings (http://www.facebook.com/trumpchicago) photo and video galleries showcasing accommodation and tours, YouTube aggregation (https://www.facebook.com/TourismFijiAustralia), competitions raising brand awareness, discussion threads, newsfeed subscriptions and more. 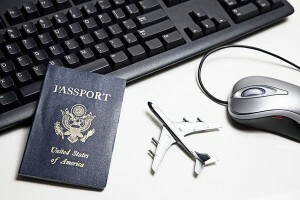 However, the travel industry also has the option of other digital mediums that offer unique benefits over Websites. Tablet applications are included in this category. The main attraction of tablet apps on whatever platform - iPad, Android, Windows or BlackBerry - is that they offer tourism companies global distribution. With the tablet market increasing daily, travel bookings on these devices are increasing. The tourism industry would be well advised to include this medium as part of their marketing plan. One example of high-value iPad applications is the one used to drive accommodation bookings by providing an immersive, interactive user experience long before prospective customers even arrive at the venue. Many others exist. As with advanced social applications, operators and establishments are well advised to approach a professional iPad development firm. Digital brochures - a form of portable tablet, mobile, social or online app - convert offline real-world platforms into highly interactive digital platforms. They are best delivered by professional development outfits with experience in developing for these platforms. Accomplished digital publishing coders don't just convert print brochures into digital, but take full advantage of interactive features that drive instant buyer conversion. Travel and tourism companies around the world, big and small, are on the brink of 24x7 communication with global markets. Low-cost mediums such as tablet apps, social media and digital brochures offer them their best possible entry point to this digital marketing nirvana.